Persian cucumbers are cylindrical and squat, averaging only 10-15 centimeters in length. Its outer skin is dark green and thin with visible, shallow ridges. The inner flesh is light green with a firm and moist texture and very few, undeveloped seeds. Persian cucumbers provide a sweet and mild taste with a pronounced crunch. Persian cucumbers are available year-round. Persian cucumbers, botanically classified as Cucumis sativus, are members of the Cucurbitaceae, or gourd family. There are several different cultivars of Persian cucumbers, both heirloom and hybrid, including Figaro and Cordito. Persian cucumbers have become a favored variety of burpless cucumbers, which is a classification describing its thin skin that is easy to digest and very mild, sweet taste. Persian cucumbers are an excellent source of dietary fiber and vitamins A and C.
Persian cucumbers can be used in both raw and cooked applications. They can be used raw as a salad ingredient, chopped in salsas, and mixed in creamy dressings. It can also be used on Greek salad pizzas, cooked in a stir-fry, or juiced and used in cocktails and popsicle recipes. Persian cucumbers are a great cooling ingredient in hot dishes and compliment roasted fish and lamb. 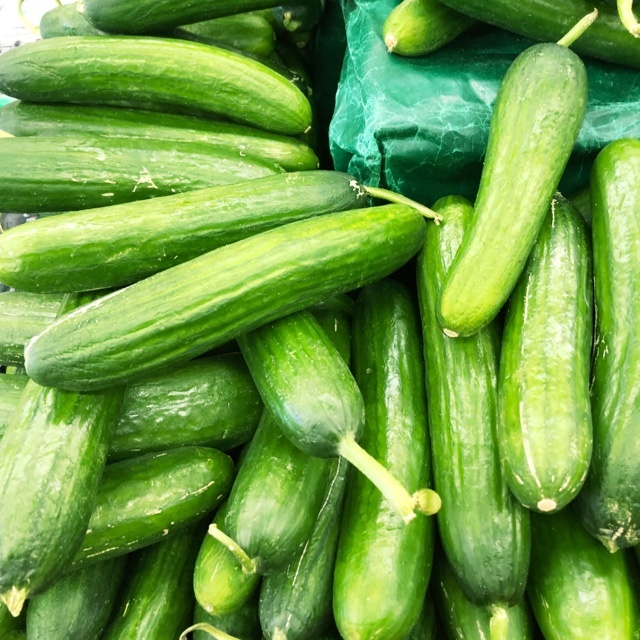 Persian cucumbers pair well with mint, chilies, mustard, cumin, coriander, parsley, sprouts, watercress, jicama, melon, citrus and fresh cheeses such as chevre, feta, and cotija. Persian cucumbers will keep up to a week when wrapped and sealed in the refrigerator. 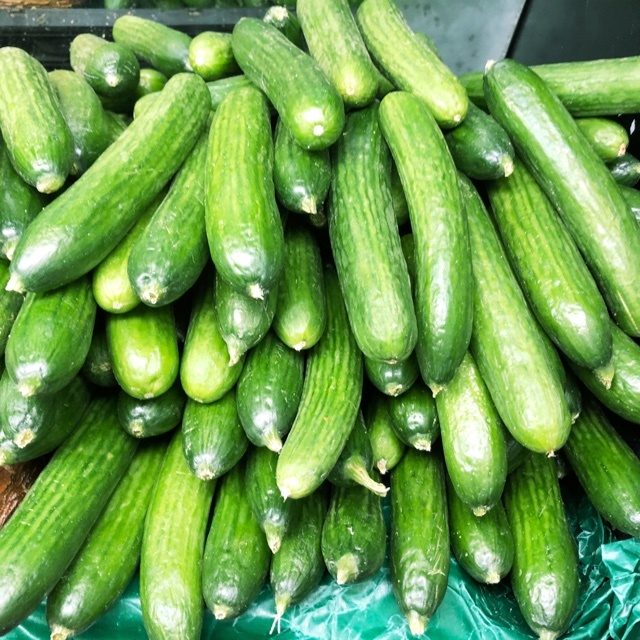 Persian cucumbers have experienced a surge of popularity in the United States since the late 20th century and are beginning to replace common cucumber varieties at both farmers markets and specialty markets. As consumers are becoming more aware of the different varieties available, they prefer the Persian cucumber's sweet taste, almost seedless flesh, crunchy texture, and versatility compared to the common North American cucumber which has many inedible seeds and a watery taste. The origin of Persian cucumbers is relatively unknown, but it is believed their cultivation evolved from a kibbutz in northern Israel in 1939. Kibbutz are traditional agricultural communities whose economy is reliant on the crops they collectively raise. Many varieties from India, England, and China were cross-bred to create this almost seedless variety. Today Persian cucumbers are widely available at farmers markets and specialty grocers in Europe, Asia, and the United States. Recipes that include Persian Cucumbers. One is easiest, three is harder. 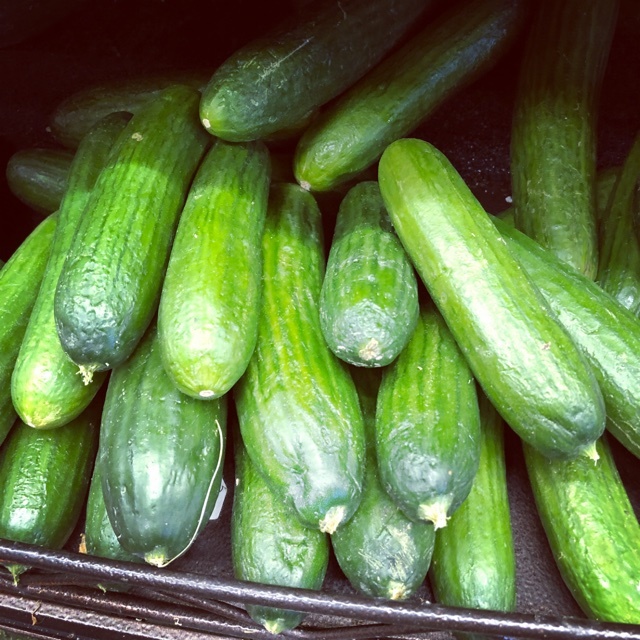 People have shared Persian Cucumbers using the Specialty Produce app for iPhone and Android. Sharer's comments : Persian Cucumbers spotted at Food Land Supermarket. Sharer's comments : Persian Cucumbers spotted at Carnival Supermarket. Sharer's comments : Persian Cucumbers spotted at Ralphs. 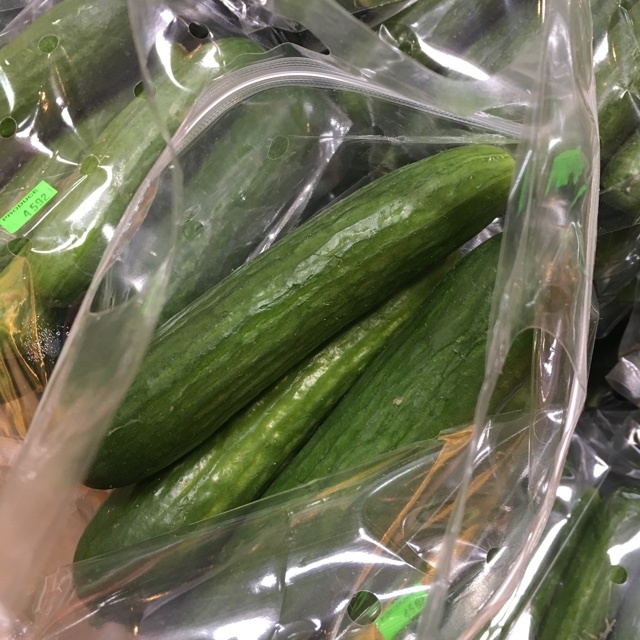 Sharer's comments : Persian Cucumbers spotted at Wholesum Harvest. 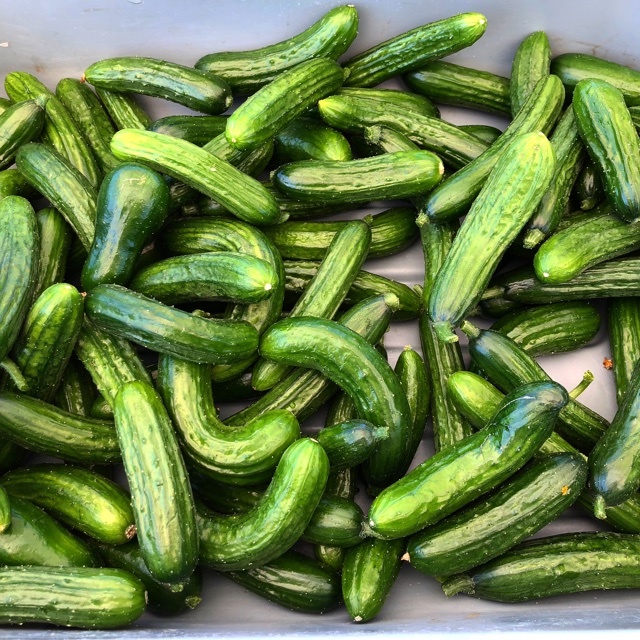 Sharer's comments : Persian Cucumbers spotted at Leucadia Farmers Market . Crunchy and perfect for an afternoon snack! Sharer's comments : Persian Cucumbers spotted at First Alternative Natural Foods Co-Op. 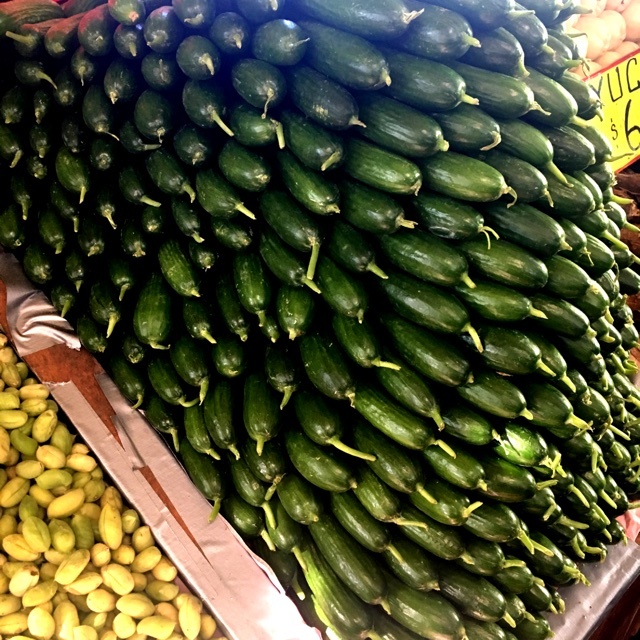 Sharer's comments : Persian Cucumbers spotted at Mercado Hidalgo. 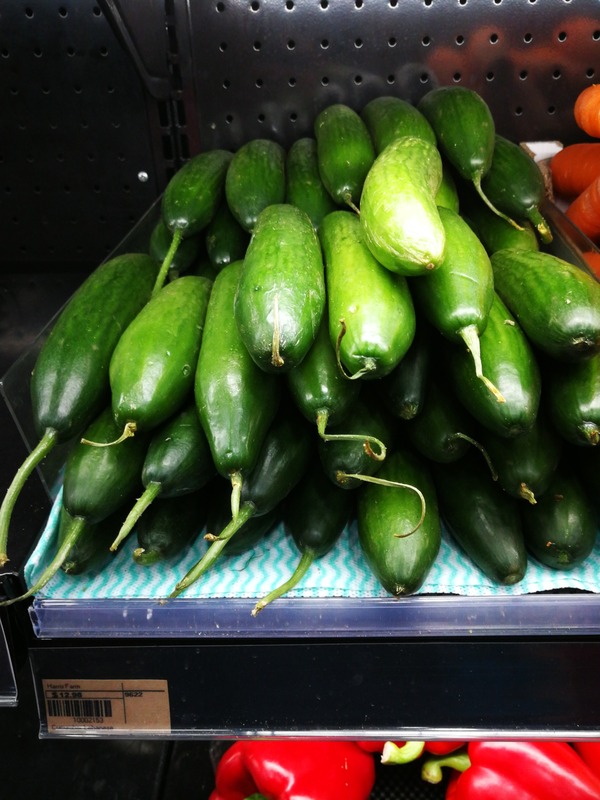 Sharer's comments : Persian Cucumbers spotted at Central Market.